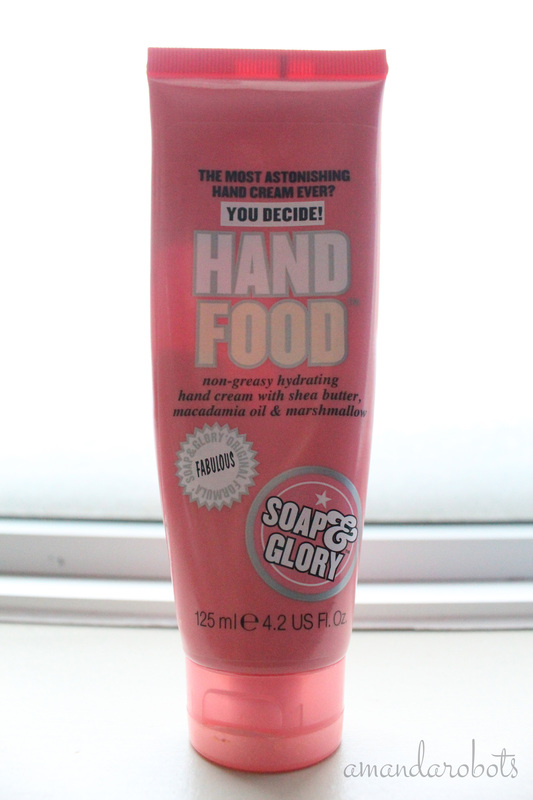 Today I’m talking about another product that’s become a cult favourite in the beauty community: Soap & Glory Hand Food. It’s described as a “non-greasy, hydrating hand cream with shea butter, macadamia oil, and marshmallow”. I’m going to go with the obvious to start: how on earth is marshmallow a desirable hand cream ingredient? Are we talking about the same thing here — the little white bitties you put in hot chocolate? Wouldn’t that make it sticky? And how do you channel that into a hand cream?